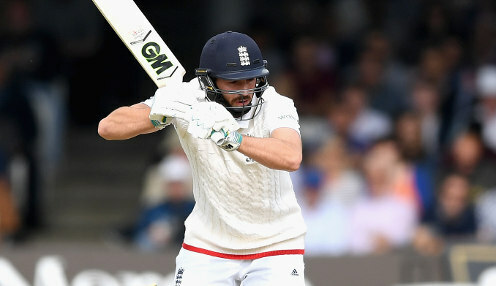 Former England great Alastair Cook believes a move to the top of the batting order could be just what James Vince needs to reignite his international career. The 28-year-old right-hander is set to open the batting for Hampshire this summer in a bid to give the England selectors a nudge, with Vince having played 13 Tests already in his career. England haven't seen the best of him, but the move up to the top of the order could be what he needs to do it. He averaged 24.90 batting at number three for the national team, with Cook believing that Vince showed what he is capable of when he made his best score of 83 against Australia in Brisbane in November 2017. Cook told the Evening Standard: "I've always thought Vincey's a fantastic cricketer. "You know, that 80-odd at Brisbane batting at No3 - which is like opening - you're a serious player to play like he did against that attack in that situation, after all the build-up and pressure over five or six weeks before that. "England haven't seen the best of him, but the move up to the top of the order could be what he needs to do it. I think it could suit him really well." Having begun his season with 139 against Oxford MCCU, Vince will hope to put more runs on the board when Hants face Essex at the Rose Bowl in their opening County Championship match, which gets under way on Friday. He can be backed at 4/7 to be top team batsman for Hampshire in the County Championship this summer, with Sam Northeast priced at 5/1.